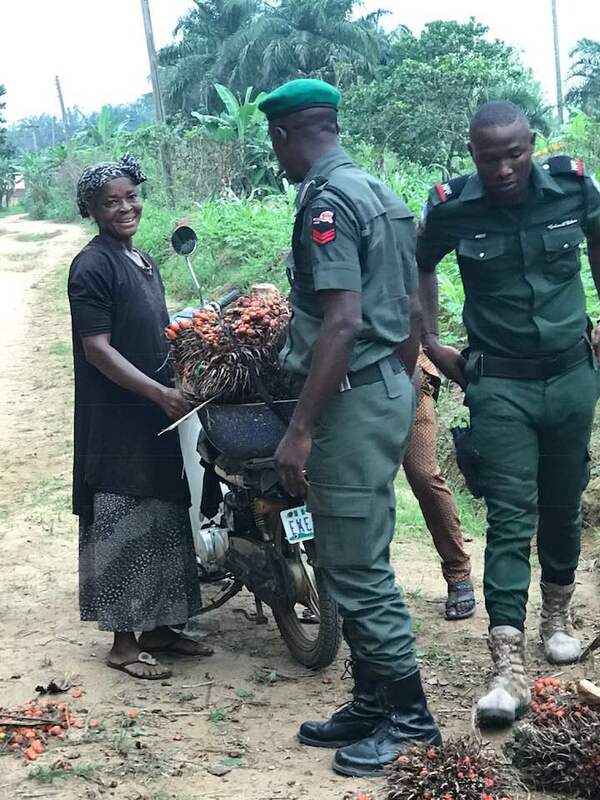 A team of Nigerian police officers have been hailed online following a nice gesture rendered to an old woman. 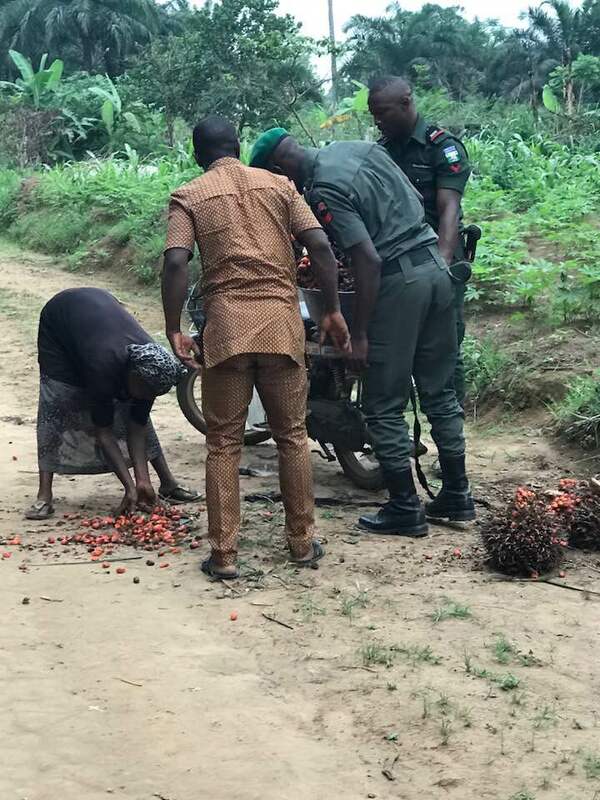 According to a report, the police officers met the stranded woman and helped her after her bunch of palm fruits fell off from the wheelbarrow. Today, I saw the Nigeria Policemen from a very good point of view. 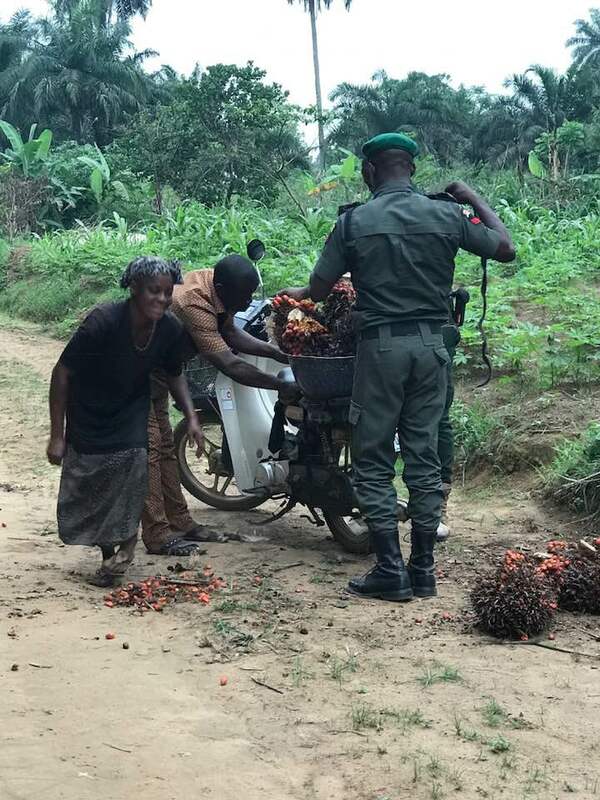 This old woman was trying to tie her bunch of palm fruits to her bike when they suddenly fell off. These policemen were passing and stopped to give a helping hand. I was driving behind them and without their knowledge I smartly took these pictures!!! Really, we still have some men in uniform rendering unnoticed services to humanity. God bless you guys with promotions and good things of life!!! 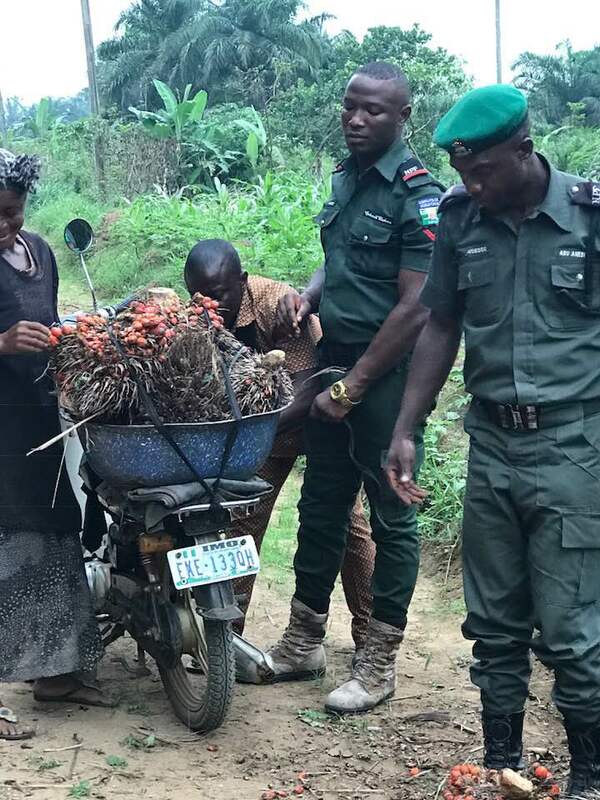 0 Response to "See What Happened When Police Officers Met A Stranded Woman In Abia State (Photos)"